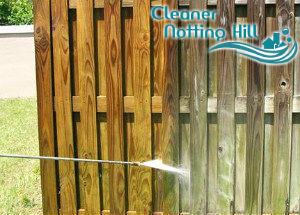 The jet washing services we provide to residential and commercial property owners in and around W11 are bettered than none. The easiest and most cost-effective way to rid your driveway, pathway, deck or patio of built-up dirt and grime is to schedule an appointment with us. We possess all the necessary competence, high-pressure jet washing machines and experience to clean your outdoor areas in no time. 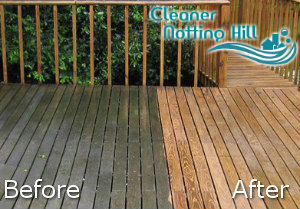 Outdoor surfaces and areas like patios, driveways and decks tend to become slippery and straight out dangerous when covered in grime, algae and moss. The easiest way to prevent any mishaps from happening is having the surfaces cleaned every now and then. If you insists on satisfactory results, it would be best to hire real jet washing professionals like those, employed by our company. Our team is fully-equipped with the latest high-pressure jet washing machines on the market and can clean a wide range of outdoor surfaces from algae, moss, dirt, lichens and fungi. If you are persistently plagued by the local graffiti artists, feel free to give us a call – we can arrive on the spot at a moment’s notice to remove the “art pieces” from your garage door or wall. As the team of technicians working for our company is fully insured and has years of experience in this trade, they can safely and thoroughly clean your roof as well. The jet washing services we provide across Notting Hill are suitable for residential properties, big and small companies like stores, cafés and restaurants, and state properties like schools, for example. Take advantage of this appealing offer and get in touch with us to request your free estimate right away!